It was only a matter of time before OnLive had to introduce changes to their marketplace. Now with over 130 games on the service, it has become increasingly difficult to find games that you wish to play. 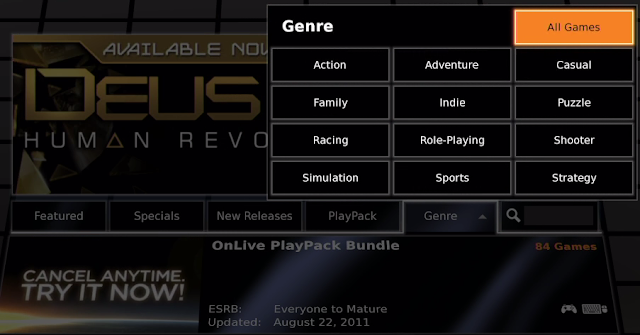 Yesterday, OnLive added categories to the marketplace, as well as the ability to search for particular games. 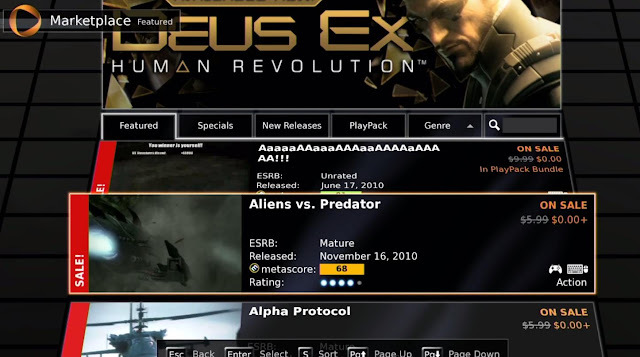 Gamers now have the ability to view games by categories such as Featured, Specials, New Releases, PlayPack, or by Genre. They can also type in a search for a particular game in order to play it. This is certainly a welcome sight to gamers that have become tired of endlessly scrolling through the long list of games. Also, another addition to the Marketplace that was added yesterday, is that it now displays if a game is compatible with the OnLive gamepad and/or a keyboard and mouse combination.